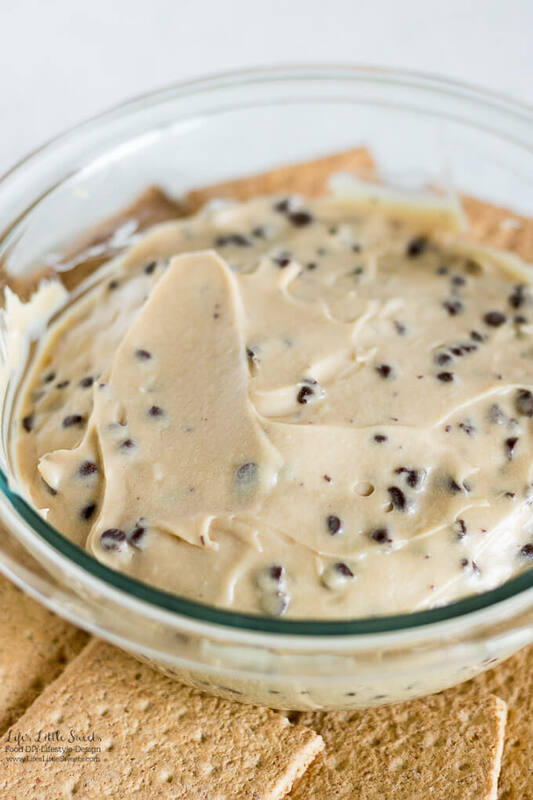 Chocolate Chip Cookie Dough Dip Recipe is a sweet, crowd-pleasing, easy recipe that can be served for game day, entertaining or dessert. All the flavors of Chocolate Chip Cookie Dough without the eggs or flour! 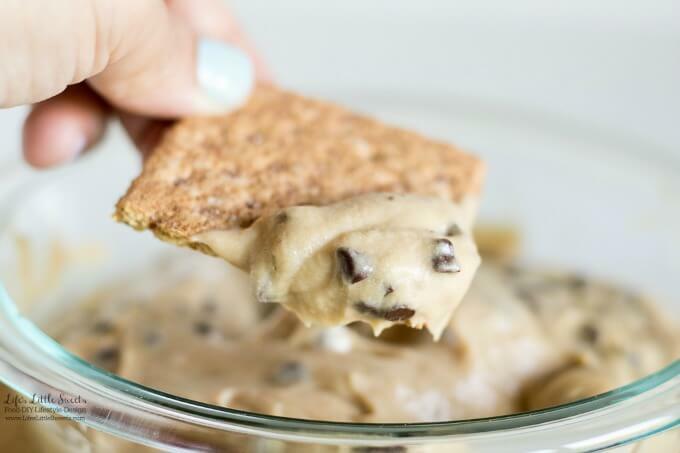 Hi Everyone, I have a crowd-pleasing, sweet, entertaining option for you, this Chocolate Chip Cookie Dough Dip Recipe. Sometime you just crave the flavor of Chocolate Chip Cookie Dough, you know? 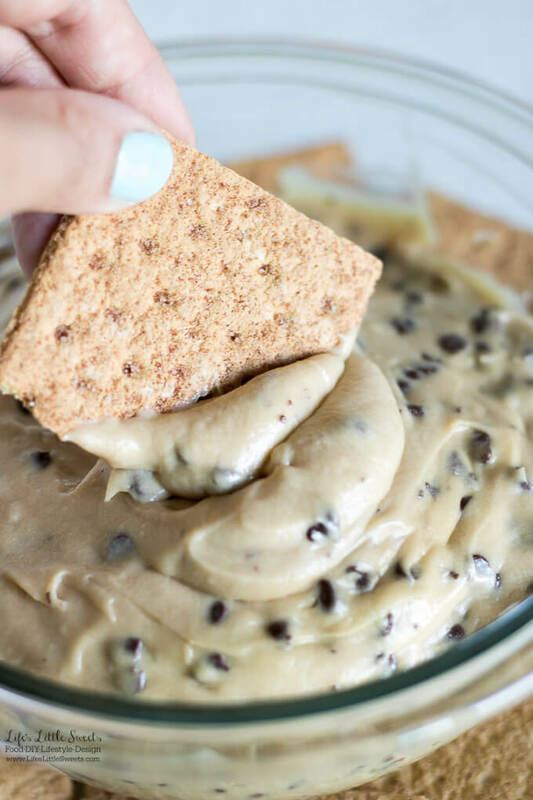 You can serve this Chocolate Chip Cookie Dough Dip Recipe with graham crackers or your favorite cookies. 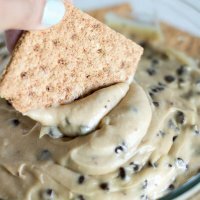 I know you will love this Chocolate Chip Cookie Dough Dip Recipe! In a saucepan, melt the unsalted butter, dark brown sugar and Kosher salt over medium-low heat. Stir until the brown sugar is completely dissolved. Remove from heat and add vanilla, stir to combine. 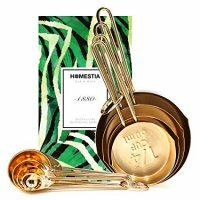 Set aside on a trivet and allow to cool to room temperature. In a medium mixing bowl, using a hand held electric mixer, mix the softened cream cheese and confectioner's sugar until smooth and combined. Add the cooled butter mixture and beat on low until combined. Stir the mini chocolate chips in by hand. 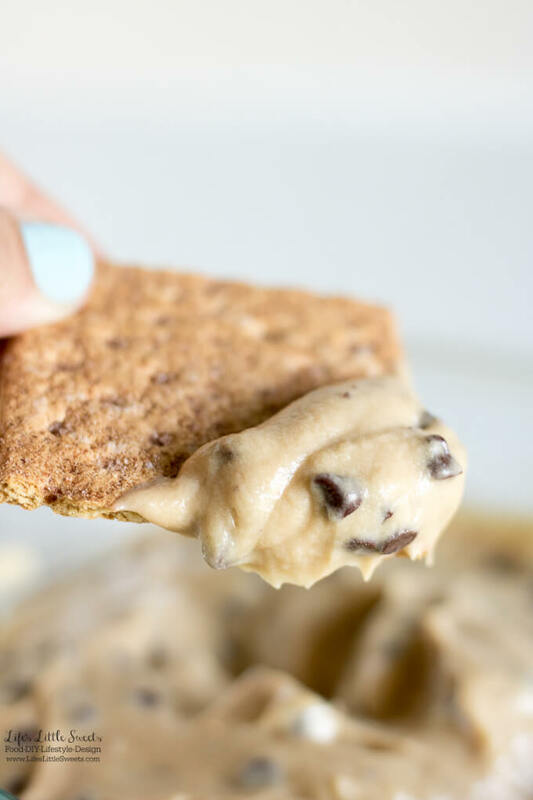 You can serve immediately with graham crackers or your favorite cookies or you can refrigerate to chill this Chocolate Chip Cookie Dough Dip. Before serving, make sure you remove it from the refrigerator to let stand for 15-25 minutes before serving to allow it to soften up. Enjoy! 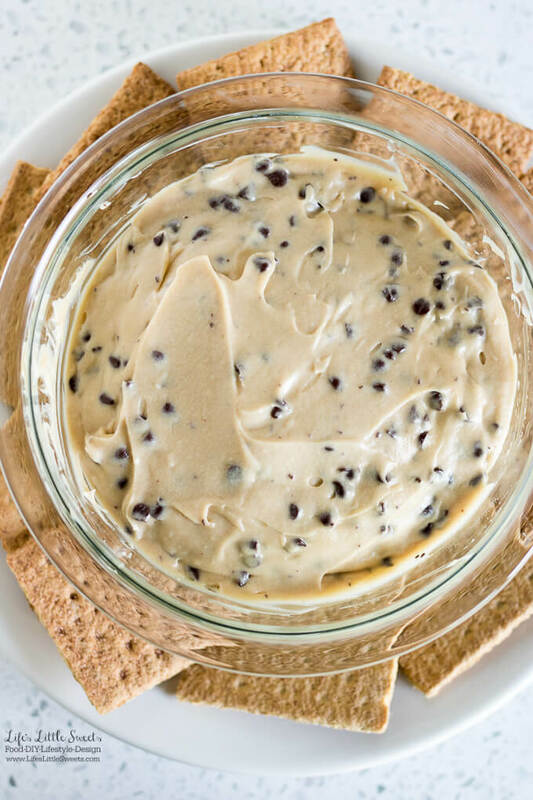 This Chocolate Chip Cookie Dough Dip recipe can be stored in the refrigerator for up to 5 days. This recipe is inspired by “Chocolate Chip Cookie Dough Dip” from Brown Eyed Baker. I made some personal taste changes to the recipe to bring out some more brown sugar flavor. 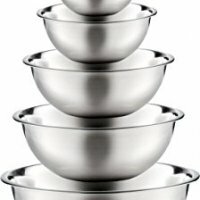 This is one of the best dips I have ever tried. Will make another batch this weekend and try to dip fruits instead.